Saturday I trekked into New York City to climb over big walls, lift heavy things, and generally run around like a crazy maniac with my Spartan Family. 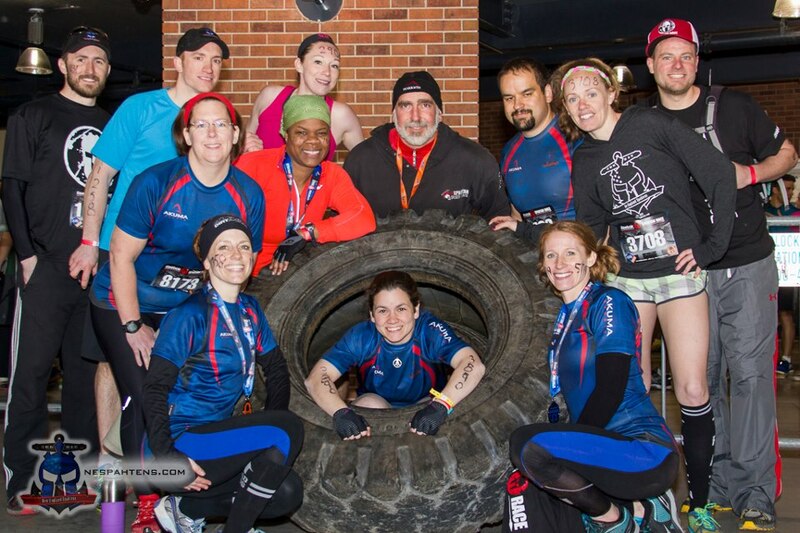 The Reebok Spartan Sprint at Citi Filed was the second ever “stadium series” race that Spartan has held. Think: CrossFit meets Sparta minus the mud, barbed wire, fire…and free beer. 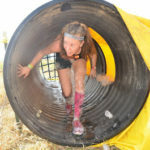 I ran as a representative of Obstacle Racing Magazine and wrote a lengthy review/editorial/”Heather’s got an opinion on everything” piece for them, which should be published very soon (hence, this post being “part two”). (Edited to add the link to the ORM post, *click here* to read the review). So you’ll have to stay tuned for the actual review of the race. Needless to say it’s probably not what you are expecting , and I was pretty bummed to have to report the fact that I was less than pleased with the race. We all know how much I love Spartan Races, but I’ve got to call a spade a spade: I was disappointed. I will share the link to the review as soon as it goes live. 1) Strength training…you MUST do it. I spent all winter playing the part of a gym rat, complete with protein shakes and old t-shirts hastily cut into tank tops, just to show off my lats. I’d be lying if I said I was training with true purpose. I mean sure, obviously in the back of my head I knew that lifting weights would benefit my overall fitness. But the truth is, we went to the gym almost every single night as a means to fight cabin fever. 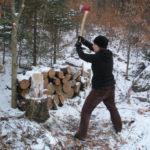 Lifting heavy things beat the monotony of a horribly cold and snowy Vermont winter. Trying to lift heavier each session became a fun game, something to look forward to. 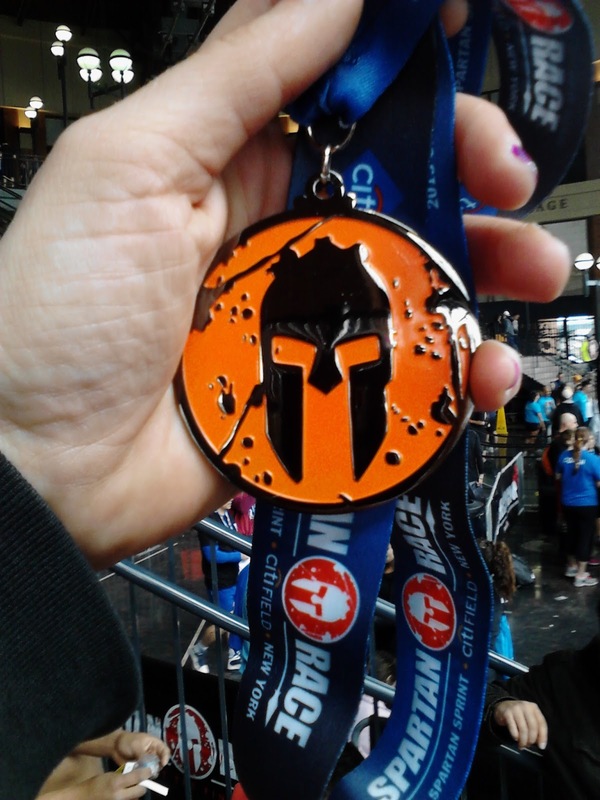 Now, my last true Spartan Race was the Ultra Beast all the way back in September (we won’t count the demo in NYC), and I realize that was 6.5 months ago. But holy cow, was I shocked at how much EASIER the obstacles were. Same obstacles, vastly stronger Heather. I only had to pay up on 2 penalties (that’s 60 burpees, 30 per missed obstacle): spear toss (no surprise there) and the new version of monkey bars, which I fell off of 3/4 of the way through. Three cheers for lifting heavy! 2) Cheating …you MUST NOT do it. I’m about to get on a judgemental soapbox here, so you’ve been warned. I get that people do these races for fun, and aren’t there to “win”. I get that people don’t want to be told what to do, or take these races too seriously. But here’s the thing you guys, there are about 5,983 other obstacle course race/mud runs available (just a general estimate) where you DON’T HAVE TO DO BURPEES, or any other penalty for missing and/or skipping an obstacle. Spartan Race is not one of them. Burpee penalties are a part of the course, just like the rope climb, the spear toss, the walls. I can not tell you how many people I saw skip burpees, and heck, skip obstacles all together. I know, I know, they are only cheating themselves. But to me, it not only shows poor sportsmanship, but discredits what the rest of us actually do. You don’t show up to a marathon and run miles 1-15, skip 16-25, and hop back on the course to finish the last 1.2, claim your medal, and tell everyone you’ve done a marathon. The same goes for a Spartan Race. Do your burpees, or sign up for tough mudder instead. 2a) Race Etiquette…PLEASE! I got stuck behind many a walker at Citi Field. No biggie, as most of them kindly moved over when I yelled ahead “Hey do you mind if I pass on your left when possible?” And then there was Mr. “No I will NOT let a GIRL pass me”. Sigh. I asked him if I could pass at least 4 or 5 times while stuck in the single file lanes of the stadium seating. Each time, he looked back at me, and then took his walk to a slight jog instead of letting me pass. Then he’d walk again. It was so incredibly frustrating. When the opportunity finally arose for me to squeeze by I did. And forgive me readers, for I do not feel bad for the accidental (I swear) elbow he may have taken from me when I passed. This happened AGAIN with a different person on the stairwell of the Hobie Hop. Listen, if someone needs to pass you, LET THEM. Don’t take it personally. Actually, better yet, DO take it personally. Take it, and use it to fuel your training next time. But certainly don’t take it OUT on the person who just happens to be having a better race than you. 2b) Cell Phones on Course. No. Just….no. 3) Racing Team/Family…you MUST get one. I’m going to sound like a broken record here. I freaking love the obstacle course racing community, and I genuinely hope that as the popularity of our sport grows and evolves, this aspect of it does not change. I LOVE that in a sea of 10,000+ racers and spectators, I constantly bump into friendly familiar faces. I LOVE that on course, complete strangers are always right there offering to help get you over an 8 foot wall, or encouraging you to push harder, even as they struggle themselves. I LOVE that the elites will cross the finish line, take a breather, and then go back out on the course to race with and encourage the non-elites. I LOVE that racers are just as concerned with how everyone else’s race went as they are with their own outcome. I LOVE that the founders, directors, and staff aren’t holed up in some office counting their earnings…they are out ON THE COURSE, racing side by side with the athletes and encouraging others. I LOVE being a part of a team (shout out New England Spahtens!) full of people that will take me under their wing and act like we’ve been friends forever, even if we only just met that morning. It is truly a family, and I’m stoked to be a part of it. 4) In season training: it’s time. Technically I’ve been training all winter. Running, burpeeing, lifting, trying to not lose my sanity over the winter. But racing again (if you could call it that) has given me the kick in the pants I was waiting for. It’s time to get outside and carry heavy things to the top of big mountains. 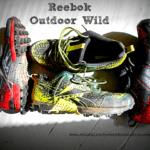 It’s time for ranger runs and stair adventures and ridiculous training in the fresh air. The Ultra Beast is only 5 months away…. I did have a guy jump in front of me when going over one of the walls. Luckily a volunteer saw this and yelled at him for cutting and using the girl step he made him do burpees and counted them! I also had trouble with the largest wall, but a nice guy helped me over! I was able to see my little girl compete and she was able to see her mommy compete and that was worth it! This was my first race (1h19m40sec), so I have nothing to compare it to, so I had a great time! I’m kind of glad to hear the race was disappointing. I was torn on whether or not to do it, but decided not to based on a couple reviews of last year’s stadium races. It was pretty expensive for a crap shoot and a cool tee-shirt. I’m planning on doing the Tri-fecta this year. I’m in NJ, so no real convenient Beast. I may visit a friend in Wisconsin or take a drive to Vermont. Whichever it is, hope to see you there. If so, I won’t be walking. But if I’m going too slow & you need to pass, no elbows will be necessary. Well said…especially #2. I mean, really, what’s the point if you’re just going to pretend to do the race. I also found the same results from #1…noticed a huge difference in Miami and again at Citi-Field (and you were at Times Square too…done that and got the t-shirt, actually two…lol). I wrote a post as well about Citi Field and referenced your original article. Hope you don’t mind. Here’s the link if you want to check it out. Looking forward to following your future endeavors!